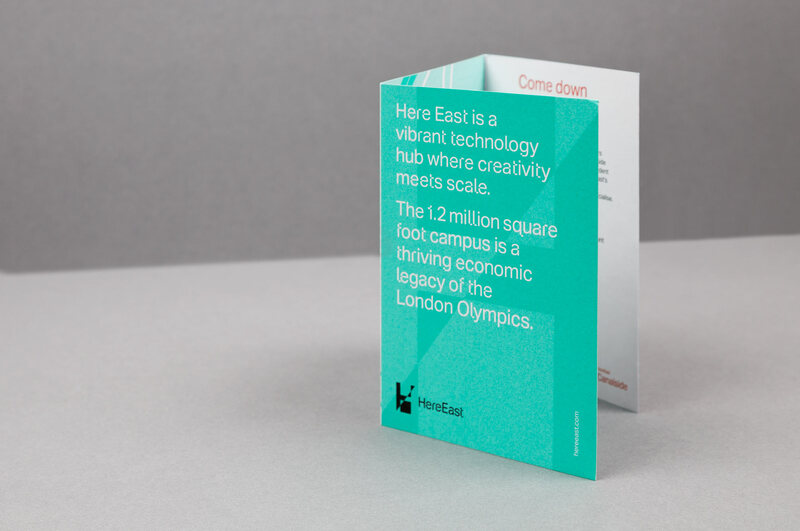 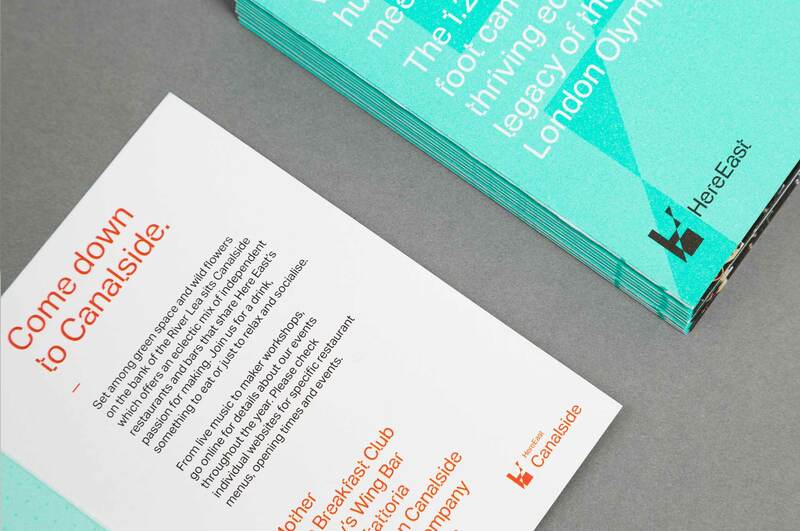 Here East is a thriving legacy of the Olympic Games, delivering on the bold ambition to create a technology cluster from the former Press & Broadcast Centres. 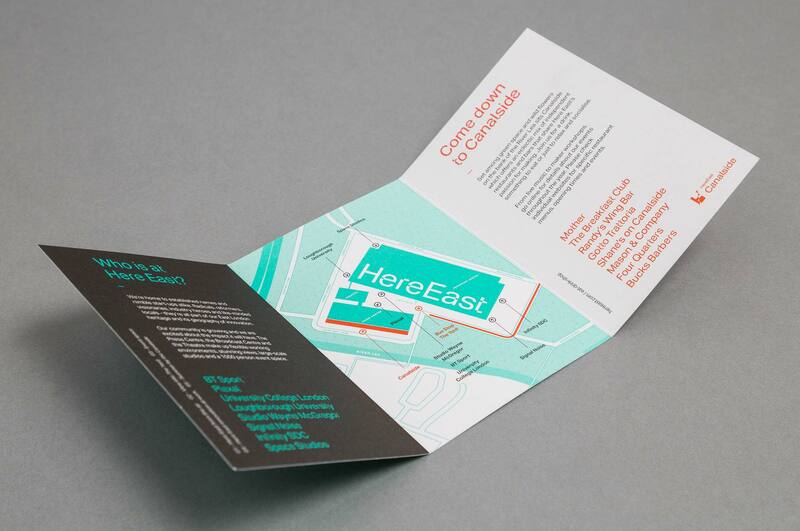 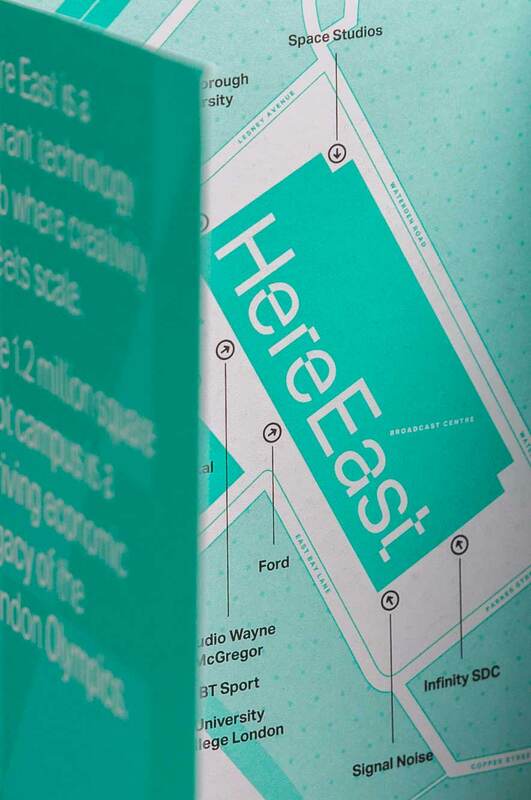 WeDesign designed a series of promotional material to explain who Here East are and publicise the exciting companies who have offices and workspace on the campus. 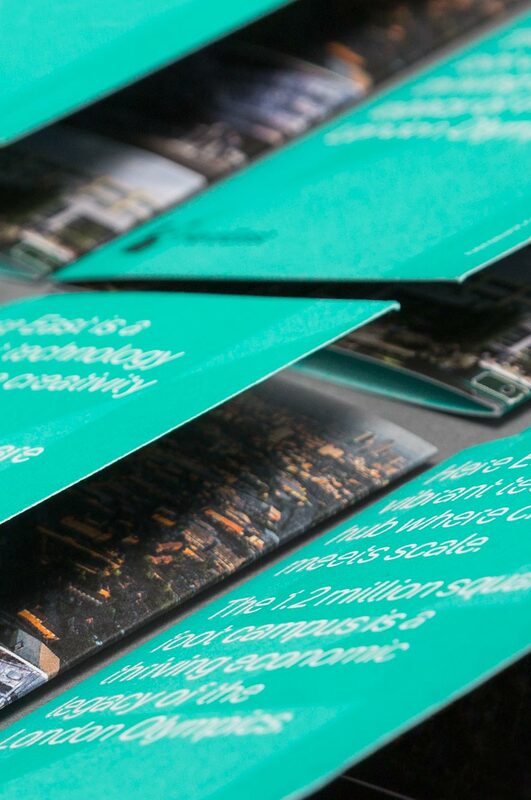 The folded brochure also helped people navigate to and around the site.